This was the band’s second album, but it’s the one that shot them to the top of the charts. Most people know More Than Words, but the album also featured Get The Funk Out (with guest vocalist Pat Travers) and the incredible guitar intro to He-Man Woman Hater called “Flight of the Wounded Bumblebee.” Nuno Bettencourt remains one of the most amazing guitarists of our time. And why is 1990 special? Because that year, Mark Koopmans journeyed to a foreign country and rented an apartment while flying solo. That adventure would eventually lead him to Hawaii and the life he now enjoys. Robin at Your Daily Dose featured me HERE and included a really old post of mine. Thanks, guys! I was really surprised and honored to be featured. Here is part two of the upcoming theatrical releases for April! (Part one was yesterday.) As always, descriptions courtesy of the IMDB. Snarky comments by me. A terminally ill scientist downloads his mind into a computer. This grants him power beyond his wildest dreams, and soon he becomes unstoppable. An undercover cop tries to take down a ruthless crime lord with access to a neutron bomb by infiltrating his gang. Have you enjoyed the first week of the Challenge? Hope you’ve enjoyed my theme. Yes, it was once again more work than I anticipated, but a lot of fun to put together. The week was a bit overwhelming though. Let me give you an snapshot of my week. Tuesdays are usually quiet – maybe twenty new posts in my Blogger Buddy file on Feedly. This Tuesday, it began at sixty-five new posts before 6:00 am. No problem – I knew it would be busy. Got through it and had fun. Wednesday came. IWSG post day. At 5:45 am before I left for work, there were eighty-three new posts for my Blogger Buddies alone. By 7:00 am, that number was one hundred and eighteen. Crap. At that point, all of my clones quit. So my apologies if I did not visit you on Wednesday. I couldn’t even return all the comments. Will do my best to keep up for the remainder of the Challenge. Next year, the Challenge will begin on IWSG day. I may not sleep at all that day. Do they still make Jolt Cola…? 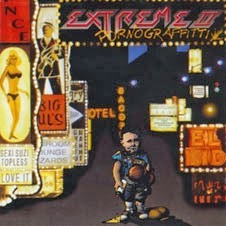 Remember Extreme? Following Madman Mark? Seeing any of those movies this month? Were you overwhelmed this week? And what do you remember best about 1990…? More than words...I remember that one! And another great year for movies...I LOVE Hunt for Red October, and I must have see Tremors like 83 times, haha. Ooh... Civ! I love Civ. You know, I would never be able to keep with that. Good for your clones for knowing when enough is a enough. The year I became 6 years old? Not much, of anything. But my brother was born in '89. I really hope Transcendence is good, such an awesome concept. Captain America 2 is in my sights. Sorry about being overwhelmed. I take time every early morning to borrow a laptop to catch up on the comments. During the day I don't have access to a computer with nearly enough time (only the library and that's half hour) to read posts and comment back. I nearly decided to quit after F but encouraging comments in my Carlisle post changed my mind. Hold in there Alex. 1990 was the year that work threw me out (on disability grounds) and I started the lifelong process of re-inventing myself. Not happy at the time, but grateful now. How dare your clones quit on you like that? That simply isn't nice! Between IWSG, A to Z, work, and everything else that life demands of you (like the pesky need to eat and sleep and all that), it's understandable that it was a little overwhelming. Most of the rest of us would have spontaneously combusted under all that pressure. You need a newer version of your cloning machine - time to upgrade from Clone Tera to Clone Peta; better still - use clonecrowd. I remember the fall of the Berlin wall and the release of Mandela. 1990 found me fascinated with Andre Agassi and his hair err wig. It was the year cable tv/foreign channels was allowed in India - would take another year to be beamed into Indian homes. I have an album or two of Extreme on tape and disc. I loved all the movies except DH 3 - a bit too much of Bruce Willis aka Gary Stu. Mark - I miss reading his blogs -along with Tim, Pat and Robyn. I wonder what the record is for blog visits - bet you're close. In 1990, I turned 21. I celebrated the release of Mandela, and the fall of the wall. I can still sing "More Than Words" better than passably. I am also Extremely partial to "Silent Lucidity" from Quennsryche's Empire. I don't know what I would do with that many blogs to visit! I've been feeling little overwhelmed (ambitious flash-fiction theme that might evolve into something bigger, down the road, two homeschoolers, CampNaNO, and prepping for Round 2 of ROW80. I've been finding it hard to get in my visits, other than to commenters, but, tonight, hooray, I am finally just a bit ahead, with an off day coming. I keep meaning to join you IWSGers, then forgetting at the first Wednesday (Maybe because I already write 3 posts on Wednesdays, and it's my hubby's Monday?). I never tire of that photo of Mark! He must keep his kids in stitches all day long! I can't believe that Good Fellas came out 24 years ago. It's such a great movie. Hope you're able to get some rest tomorrow, Alex! 1990? I turned 29. Congrats on the features! Well deserved. "...at that point, my clones quit." LOLOL. Alex, you're too much. Do what you can, then get some rest! The image of Mark wearing coconuts is forever burned in my retinas. Alex, your followers appreciate all your efforts. Really really. What would we do without Mark? He doesn't have much dress sense, bless, but he's a great guy. I'm shattered already - the A-Z is overwhelming, but fun, too. Alex, you are superman getting to all those blogs. It's time for you to take a day off. Don't bother visiting my 'E' - echoing quilting is boring! 1990 was a good year for movies! Its tough keeping up but Blogland is so cool that way. Bloggers always return visits. Total Recall is a great 90's movie. You're a better man than most. Cut yourself some slack. Amazing you're still standing. Have fun with this the rest of the month. 1990: my first year living in Germany. Beautiful! I had no idea Mark was from Ireland or that his wife is serving our country. I thank her for her service. That's why I didn't do IWSG…I just felt I'd never be able to do both hops. I'm not nearly as organized as you, Alex! I remember Get the Funk Out. Again, I did see all the movies you mentioned. It takes a brave soul to leave one's homeland to live in another, speaking of Mark. But Hawaii is supposed to be paradise. Ilima, I've seen that one many times as well. Sheena-kay, don't you dare quit!! LG, I don't want to see any of you explode. Rekha, I'll be sure to upgrade. Patsy, my personal record is just over three hundred in one day. Shan, glad you're catching up. 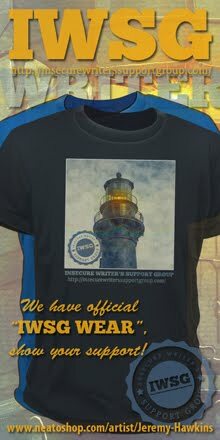 And please join us for the IWSG. LuAnn, I'm going to catch up on comments this weekend. Anne, even guys admired Nuno's hair. Mike, doing what I can! Carol, is that good or bad? Elsie, I don't blame you. Sometimes it's hard to believe the SciFi Channel hasn't been around forever. A lot of interesting movies came out in 90. As for Johnny Depp's new movie, I don't think anything he plays surprises me anymore. He does like unique parts. I'm amazed at how you and all the other bloggers handle the A to Z Challenge. Y'all are awesome! I do remember Extreme. That was a good year. SciFi channel, Tremors, and Final Fantasy VIII! I went to college way up north in 1990. Seems like another lifetime ago. Some pretty cool stuff came out i '90! Congrats on the features and reviews for your books. Yay! Transcendence and The Quiet Ones sound really fun! I can't wait! More Than Words is the only song I know by Extreme, but I love it! Actually my friend, it is Lord Baldernot (reference to Lord Voldemort). The Sir comes from DPK's Cosmic Table knighthood. Not that it matters too much. He is still an awesome guy with many titles and one of my favorite bloggers. Alex! I always love and appreciate your comments, but I know you're quite the busy bee--so you never need to apologize for missing a post of mine, not ever! 90 was a year that slipped me by...probably because I was just a babe! 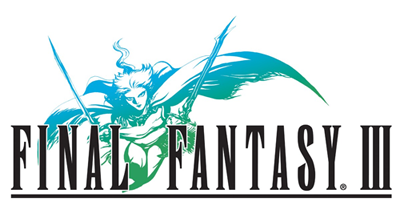 Excellent year for one reason, though: FF III! It's hard for me to believe 1990 was an entire generation ago. And Alex, I don't know how you keep up with any of this...but you do. Clearly it matters to you. I hope you know how much you are appreciated. Sounds like fun, make sure you rest tomorrow. My husband was stationed over in Germany when the Berlin Wall came down. He has such vivid memories. That experience made such an impact on him. My brother just visited Berlin and he believes East Berlin has the most amazing architecture and vibrancy right now. Yes, I enjoyed the first week of the Challenge. Thank you so much! I'd like to see "The Quiet Ones." Looks intriguing! Hubby surprised me and came home early. We made it to the 1:00 Matinee for Winter Soldier! Awesome! And yes the week's been a bit overwhelming but fun! I love that song, "More Than Words"...off to find this one-thanks Captain Cool! How was Captain America? How many stars do you rate this recent flick? What did the Mrs. think? Jolt Cola? Pepsi Max jolts me-I stay away from that crazy brew-it is rocket fuel. We must plan our Blogging Party in Hawaii-Madman Mark knows the lay of the land! Off to play some tunes! Wow. Your week sounds insane. I graduated college in 1990 and got a job at St. Martin's Press in NYC. Big year for me. I do remember Extreme. I love More Than Words. I am one of those folks who didn't buy the record, so the B-list songs remain a mystery to me. I was pretty overwhelmed and I don't have nearly the following you do. I don't know how you manage anyway. You certainly need something to keep you awake 24/7. The music you talk about means absolutely nothing to me I'm afraid. However, I did see Hunt for Red October and Die Hard II. Hi Alex - I remember some of the things you mention - Mandela and East and West Germany .. and now Mark with his coconut cups! He's doing a good job with his kids .. three boys - tough call. You're doing a great job and we're mighty grateful for your help and guidance .. you set the bar at a high height .. the rest of us are jumping the hoops below ..
Al, I will fix that. Randi Lee, I still feel bad though. Liza, all of you matter to me. Trisha, you probably know Hole-Hearted. Ella, I give it a full five stars! The 90's was still about big hair especially big/tall bangs and shoulder pads. I've seen most of the movies mentioned. I do remember Tremors. Mark's picture is a hoot. You have certainly been busy. Don't know how you do it. wow- I remember that epic moment when Germany became reunited. Have a great weekend! and thanks for being a great co-host for A-Z! Funny, Extreme has been among my candidates for E, but I finally decided on Eels! I loved all the Die Hards and I loved Total Recall, which of course was a book, FIRST. Yes I was totally overwhelmed this week but it was all family stuff, not the challenge, which was enjoyable, and I made a new friend whom I would like to introduce to you. His name is Philip Overby and he lives in Japan but is American. I hope people begin following him!!! I think he is exceptional! And no worries about the blog visits! This HAS been an overwhelming week, and I haven't gotten to everyone I want to, either. We'll catch up! My first, brand new, car was a Saturn and it ran like a champ. Not sure why they discontinued the line. Definitely following Madman Mark - he rocks! Don't burn out, Ninja Captain! Wow... now that you mention them I do remember Extreme. I remember MTV played everything back then and I soaked it all up like a sponge. I have a lot of good (and bad) memories of 1990, really started getting into music and baseball and video games that year. Civilization came out in '90? I didn't know it's been around that long. I remember Jolt cola but I never tried it. I loved Crystal Pepsi though. Was that out in 1990, or '91? Mark is so much fun. Tremors was my favorite movie on that list. I can't imagine keeping up with all the bloggers like you do. Looks like 1990 was a great year for music and movies! I drove a 93 Saturn until the motor went in it in 2009. Best car I ever owned. All your clones quit lol...err....sorry? o_o I never tried jolt Cola but I'm with you, we need some. NOW. I don't have any clones, but my wits have deserted me too many times! TREMORS is the movie I watch when life has gotten too serious and down! haha so weird to have so many posting on saturday, usually just me and 10 others in my list at most, easy day, not anymore. Know what you mean too, the usual amount is like doubled. Awesome movies released indeed that year. Jolt Cola was a big hit for many of my co-workers in air traffic control. Keep that buzz alive! Extreme...yeah not so much, although I love the song title He-Man Woman Hater. And who hasn't seen, or read, or both The Hunt for Red October? I knew Sean Connery was a commie all along. 1990? I remember where I was, what was going on in general, but I'm lacking on specifics. Probably for the best. Hilary, glad you are enjoying the Challenge. Leovi, that made me chuckle. Jean, I will go say hello this weekend. Liz, and now Saturn is gone. Sad, huh? Mark, I think GMAC ruined it when they took over the line. Chris, not sure. Do you remember Pepsi Clear? Pat, everyone needs to take off tomorrow. I actually bought that album by Extreme because of that song... And personally I don't know how you've managed to visit so many of us and leave a comment! 1990 was the last time the Reds won the World Series? I wondered when it was. (I used to live in Cincinnati). I wonder when the last time the Cleveland Indians won. Did they ever? No doubt you are a Ninja :)So far I have been enjoying the challenge and meeting some new bloggers. 1990 my daughter Maria was born! Great year. Thank you so much for your visits. You have no idea how much I appreciate them. As I promised, I've at last got some time this weekend to visit a whole bunch of people. I've started with you (because you're at the top of my 'follow' list) :). I'm also going to say 'hello' to all those you mentioned so I don't know how many people I'll be able to visit. An interesting thing happened through A-Z. All the pictures I'm using are by myself or family members and I used one by my nephew and his wife. From there, I wrote a blog for their son who is autistic. Isn't it interesting how things go around and around? Whenever I think of More Than Words, I think of my friend Phil. He absolutely hated that song. One time it came on the radio and he just flipped out. He kicked the radio and broke it. I never hated a song that much. I was just thinking of how you manage to return all the comments as well as reply to the ones on your blog, I had such a hard time on IWSG day. Transcendence is one movie I would like to watch. Sorry you had such a crazy week. I can relate to the stress. I had a ton of projects due for school this week and I found myself floundering. This is my first A-Z Challenge and it is much more work than I anticipated. But also a whole lot of fun. Saturns and Sci Fi channel? That was a great year (former Saturn owner). And B plus IWSG was definitely and overwhelming day. I'm not sure I did it justice. 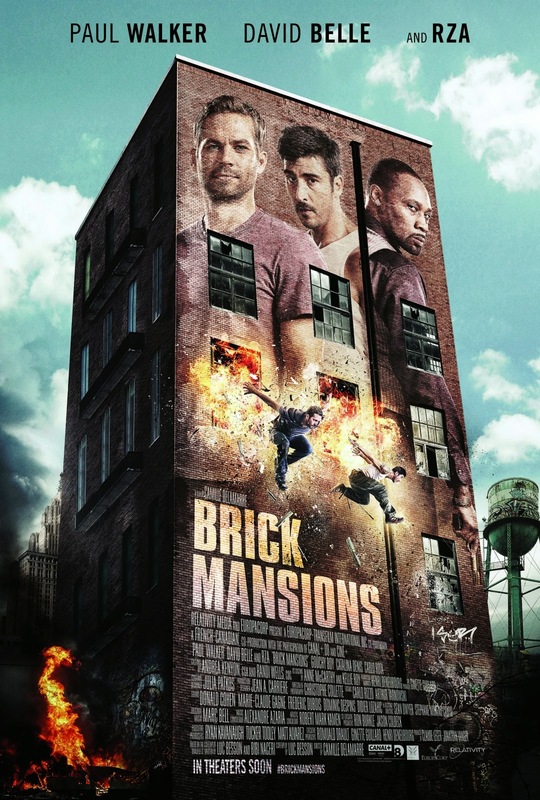 it's just so strange to see new movies with paul walker... sad. like when Heath Ledger died, also sad. Just avoiding overload despite doing IWSG, re-writing A-Z posts, and using neighbour's wifi. I had to laugh when I saw Mark Koopman's photo up there in his coconut finery! You're doing an amazing job keeping up with all the blogs. Your perseverance is impressive. Even your clones get fatigued? Can Mini-Alex step in? Nah, he's enjoying a relaxing retirement, I'm guessing. I LOVE that Mark's coconut bra photo is still circling the blogosphere. Let's keep it going! Laughs. Get some reprieve on Sunday, Alex. I remember the movies from the 90s! But Madman Mark? No...we were young parents, and we were lucky to see the movies. Sherry, they have, but I can't remember the year. Fe, comment as long as you like! Thanks for visiting me first. Enjoy the Challenge and don't wear yourself out. Lee, I don't think I've hated one that much either. Faith, just so long as you have fun! Tara, it is sad. And there is a limit to me - really! BE COOL, dude. You don't have to do it all. I totally appreciate you dropping by to see me, for example, but please, you don't have to, especially not during this nutty time of year. Take it easy or everyone's favourite ninja will end up in the hospital. sure everyone knows you do your best. I hope you have a great weekend. Alice and chains and Tremors...sounds like an awesome year to me. But, seriously, *thanks* for the very kind words... whether I am a Sir or a Lord, you can count on me as a friend, Alex. I cheated and posted a re-post on IWSG day... ha! 1990 was historic for our nation, as you mentioned above! I remember kindergarten from the 1990's. I don't think they make Jolt anymore, sorry. Get a six pack of Red Bull and you should be all set. That's great music and I love total Recall. That was the year I started high school. I am going to enjoy tomorrow's blog break. Of course "More Than Words," but "Hole Hearted" also rocks. Cathy, promise I won't kill myself. Gail, I could resist, but glad you're following him now. Mark, you're welcome, and just had to use that shot. 1990. I think that was the year I took off for some country or I went fishing or I thought about both of those. I remember seeing Total Recall, so maybe I just went to the movies. Well, I did see Goodfellas and The Hunt for Red October. But otherwise I guess I was clueless that year. I'm so proud of myself. I knew the band, I saw the movies, and I remember the events. Why? Because I didn't have any children yet and still had working grey cells. I just started following Mark Koopman and will probably never think of him without a grass skirt and coconut bra, thanks to his voodoo twin with the peanut-shell bra. I'd be completely dumbfounded if I ever met him and he was wearing pants like a normal person. I enjoy Mark's blog a lot. And boy do I hear you about the crazy first week of the Challenge. Do you think maybe Pepsi MAX replaced Jolt Cola? I go through several cans a day. It replaced Diet Coke for me! Yay for Mark. He is hilarious and deserves a shout-out for that photo. Definitely a good sport. 1990 is the year I graduated from high school and the year I first saw the Grateful Dead live. High times indeed. 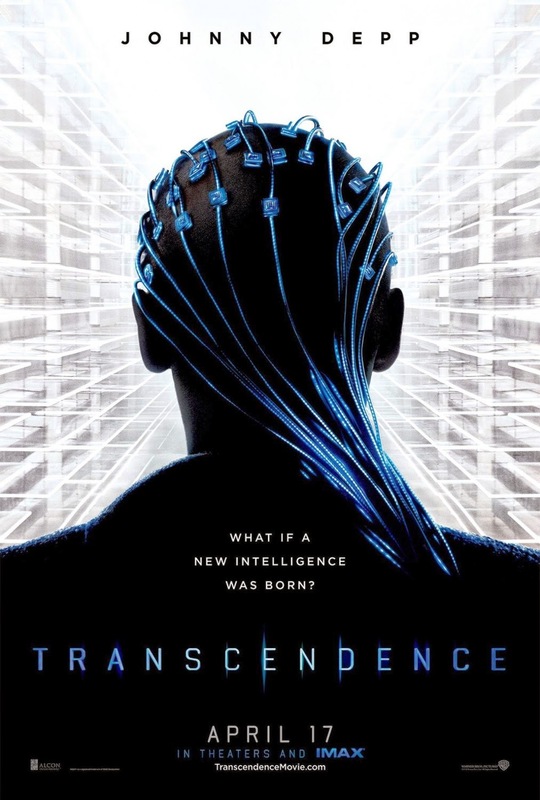 I can't wait to see Transcendence--what a great premise! My little sister was born in the 90s and I was bumped from youngest child to middle child! Lynda, you're awesome! And that made me laugh. Wait, there was a Lawnmower Man 2? I started 5th grade in 1990, with my first male teacher. His awesome reputation preceded him, but that was a really bad year for him, and he turned out one of the worst, if most memorable, teachers I've ever had. Oh, I loved More Than Words. Forgot all about that song. It's a shock reading "Cincinnati Reds" and "World Series" in the same sentence. Glad I had fun watching that one as I know that will never happen again. I turned 7 in 1990. Good year, although I remember wishing I could stay 6. I knew what was good. Loving your A to Z posts. Queensryche's Empire and The Hunt for Red October - what a year! Harrison Ford was a better Jack Ryan, but the movies have never topped this. Never heard of that band either. No surprise! Sci-fi has been entertaining my husband for years. One of the reasons he agreed to get the expanded cable package. Don't worry about getting to all the blogs. We all know you do your best. Don't want you to burn out! Mark sure knows how to rock those coconuts! Tremors = classic. I'd create a poltergeist that looks like Henry Cavill and sounds like Benedict Cumberbatch. Getting to all the blogs I want to visit is keeping me hopping. I don't know how on earth you do what you do, Alex. Doesn't look like any of the April movies will get me to a theater. I don't see how you can make it to all the blogs you do! Heck I missed coming here on Fri.
1990 was the year I started high school! I remember Vanilla Ice and MC Hammer in there somewhere. Alex, your blog was going so well, what with Pat Traverse and all. The came Mark Koopman. Alice In Chains had so many good songs! Oh, I'm totally looking forward to Transcendence. But then again I said the same thing about Noah. But I have high hopes for the former. Depp, Freeman, and a cast of others hopefully will pull this one off. Great year for movies and of course anything in the Final Fantasy series...would have to be great! Transcendence looks interesting. I love Johnny Depp, but he hasn't been having much luck with box office hits of late. Hope this one changes this for him. Bob, the first one was perfect. Stephen, it's now in your head forever. 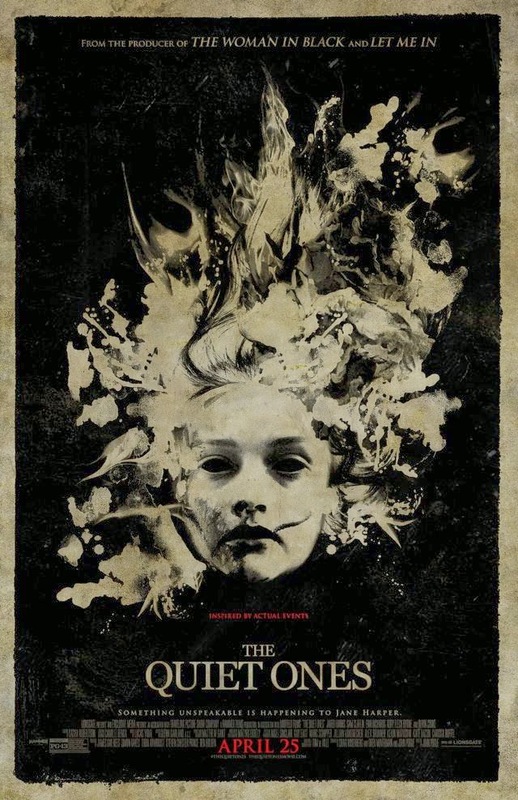 Going to watch The Quiet Ones on Tuesday. I don't expect too much though. It's been a rough week, but so worth it! This is part of what the challenge is about for me. Alex, I have no idea how you do it all! I was a little overwhelmed, and I don't have anything close to what you have to do…. Thanks for introducing me to another humor writer and one that lives the dream in Hawaii, my favorite setting and blog topic. How many more new Paul Walker movies will there be? Crazy to think he can still make money posthumously. Guess we'll need beneficiaries for our royalties at some point. Hi Alex! Just a quick thank you for heading over to Michelle's blog. You're the best!! I was graduating from high school in 1990. I love Mark, he is funny. Alex, I don't know how you do it, even with your clones! My Captain, I think you need more ninjas. Maybe if you had 5 do 30 each? I'm available for next month. 1990 was a good year for us. We still had a huge family. Too many have passed since then. I couldn't help noting that the movies had male leads, but too many exciting roles for women. Glad to see that's changing even tho I enjoyed all the movies. We need more Bullock and McCarthy films. I have no idea how you do it. My human and I have been spending at least ten hours a day commenting on the A to Z. And you know how my human and I find the challenge rather alarming and potentially stress-inducing. That cannot be right. Please do not apologise, my human friend. If anything, altruistic as you are, one can only do so much. Take Sunday out and please relax. Thank you. I follow that human Mark, the guy who likes to wear a coconut bra and smokes a grass skirt. He seems to be missing in action. Oh wait, he's commenting on your site. !990 and Brit Pop was in full swing in Britain. Penny, your friendly host of the Alphabark Challenge, 2014! Yes, I remember The Hunt for Red October! Hey, Alex! Sorry it's been forever. I'm a big fan of Extreme, but it's Three Sides to Every Story that I keep coming back for. They could teach a class in college on that album! Love the Queensryche shout-out. Empire is a fantastic album. I still play the heck out of that one. God only knew what kind of drama that band was eventually going to go through, but they had a heck of a run. Vanessa, not a lot to go on, so no idea what to expect either. Let us know. Milo, something to think about. If they finish the next Fast and Furious film, that will be at least one more with Walker. Randi Lee, of course! You're welcome. Joylene, I'm going to take you up on that offer. I graduated in '90:) I was thinking Dead Poets Society, but I think this movie debuted in '89. I can't wait to see Paul Walker's new movie. David Belle is one of the founders of parkour/free running. My son performs this awesome sport! I also remember More then Words, but have no other knowledge of the band. I feel my musical education is lacking. And mark is one of the absolute nicest people I've met in the blog-o-sphere. Just such an sweet, spiritual, giving man. Jolt, you are funny. Alex, I enjoyed reading about how reading all this went for you. It's not always easy to get to everyone. 1990 was the year my father died so that's what stands out most for me then. I have that Extreme CD. It's a good one. Absolutely loved "Get The Funk Out", as it's one of my favorite songs and favorite videos. Even had it as a 45 until it melted in the sun during moving day when it was left on the turntable. Alex, no one expects you to do everything. Even Ninja Captains with armies of clones can't do it all. I had to make the conscious effort to tell myself that I couldn't do it all, so what was the most important? I've been focusing on getting those tasks done.